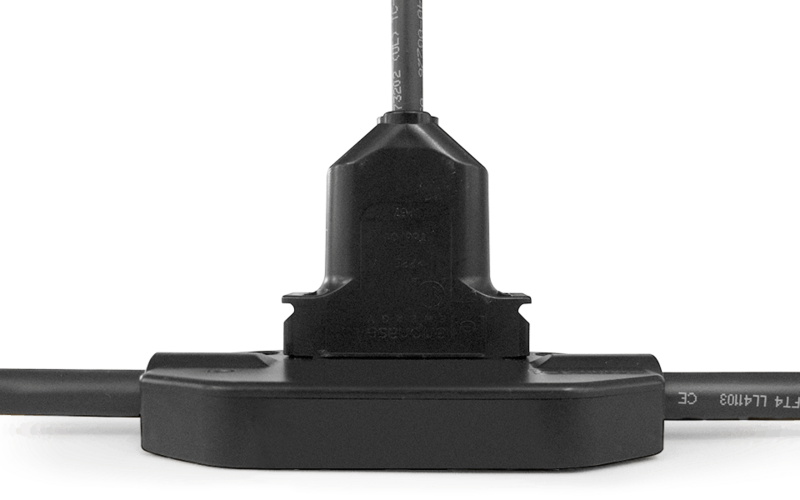 Do you have questions about our Enphase cables, or questions about solar in general? Give us a call at 1-800-472-1142. This Trunk Cable is a continuous 12 AWG outdoor rated cable with microinverter connectors for the M215/M250/S230/S280 Enphase micro-inverters. To accommodate PV module widths or lengths the connectors come preinstalled at intervals which accommodate your solar panel’s length and width. Your micro inverter can plug directly into the connector of this cable which then feeds electricity into a junction box back into the AC disconnect of your system.